We Buy Houses in Fort Pierce, Florida! Call (855) 741-4848 Today For Your CASH Offer! Do you want to wait for six months to sell a house? Homeowners are compelled to wait an average of three months to sell their residential properties in Fort Pierce. That is if you have a desirable property at a sought after location. If your property is not in impeccable condition and the neighborhood is not among the most preferred, then you will have to wait longer than six months. It could easily be a year before you get to actually sell the house. Properties that remain listed and unsold for months up to a year can easily fall off the radar and buyers are no longer interested in them, but would rather seek out newly listed houses for sale. 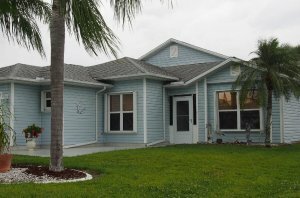 Don’t wait for months, contact Dependable Homebuyers, we buy houses in Fort Pierce, Florida! Many owners of residential properties want a quick sale. This may be due to a compulsion to move. Financial motivation is a common factor. It is also wise to seek a fast sale to make the most of the current value of a property. All properties are subjected to depreciation. A house valued at a certain price today will definitely be worth less a year later. If you keep waiting, chances are you will secure a lesser return and you may have to deal with a possibility that your property will not sell till you do something significant. You cannot help but wait when you hire a realtor and expect buyers to express interest. The real estate market is primarily driven by buyers and their demands. Preferences of buyers are also given more importance by real estate agents. The perspectives of sellers take a backseat and there is little one can do but wait. You can say no to this waiting by selling your house directly to Dependable Homebuyers. You can avoid the usual route of appointing realtors and seeking out buyers. Just give us a call, schedule a viewing and we will have a purchase offer for you in as little as twenty four hours. 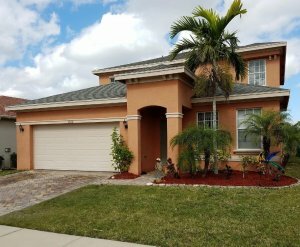 Dependable Homebuyers is the only company in Fort Pierce and across the state of Florida that is capable of an expedited sale of pre-owned houses. Your house may be five or fifty years old. Your house may be in any condition and anywhere in the city. We are interested in buying your house and we are only one call away. You can also provide your details online. Mention your full name, accurate address of the property and provide your contact details so we can take it forward. We have a straightforward proposition for you if you want to sell your residential property in Fort Pierce, Florida. Contacting us takes a few seconds. The first conversation takes a few minutes. You can schedule an appointment for the next day so our property expert can visit the house, view and inspect it. We take less than a day to assess the value of a house we consider. Our purchase offer is ready immediately. We draft it, review it and send it to you in writing. You will get this cash offer from us within twenty four hours to forty eight hours from the first time you contact us. It is almost always within a day after the viewing and inspection. The cash offer from Dependable Homebuyers is a straightforward proposition. It is nonobligatory for the seller but it is binding on us. We do not charge anything for the viewing, inspection, price assessment or the purchase offer. All these services are provided free of cost and sellers or homeowners do not pay us anything throughout the process. There is no way any homeowner or seller can get a real offer in a day. It is nearly impossible to get an offer in a month. Most property owners only get some buyers to come by for a viewing or tour in two months or so. 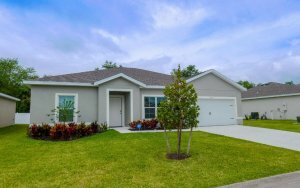 Such a wait time can be completely done away with when we buy houses in Fort Pierce. Dependable Homebuyers has the fastest turnaround time, both in regards to the purchase offer and the actual sale. As an owner and seller, you are not under any obligation to accept our offer immediately but if you do, then we can expedite the sale and complete it in just one week. You have the option to schedule the signing of the sale agreement based upon your convenience. Those who want an immediate sale can easily rely on our expedited process. We take seven business days and usually less to complete the transaction. 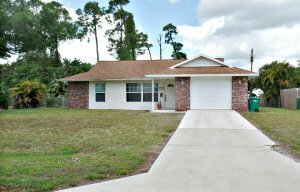 We buy houses in Fort Pierce using our own capital. We finance the acquisition. No bank or third party investor is involved at any stage. We do not await appraisal or any approval from other parties. The only involvement of a third party is a local title company. The title company facilitates the ownership transfer. You as the seller do not have to deal with anyone but us. You do not pay anything to us or another party. The selling price is your net return. You do not pay for the closing cost either. We have our own lawyers and financial experts who can take care of every formality. You will only need to consider the offer and decide. Any property owner who has sold a house before knows how complicated it is to convince a buyer. A buyer may be interested after viewing an online posting but will come up with a series of problems or at least issues when they come by to view the house. 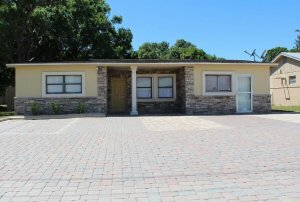 The location is often a shortcoming, even if the seller knows there is no problem with the neighborhood or the exact spot on the lane where the house is. The condition of the house is a typical issue raised by buyers. The type of house, which includes the total square footage, the number of floors, the layout or plan of every floor and the architecture, can become a major problem. Buyers have their own long list and short list of preferences. They will try to satiate as many of those preferences as they can. Realtors too try to address those but the seller is left all alone without anyone attending to their preferences. Homeowners selling their properties are dependent on the realtor and the interested buyer. There is little one can do to alter any of their preferences. Buyers often go for hard bargains and realtors may give in to their negotiations. Property owners struggling to sell their houses are often helpless and agree to a reduced asking price. There are many homeowners who invest a lot of money in repairs and improvements to make the property more desirable for the buyer. Yet, the buyer may still not agree to pay the asking price. Realtors routinely advise property owners to invest in repairs and improvements but without any assurance that such investments will expedite the sale or yield a better selling price. Many such properties remain unsold even after the investments. They sell only when the property owner reduces the asking price drastically, thereby incurring a net loss. Sell Your House Fast! Call (855) 741-4848 For Your CASH Offer! You can sell any house anywhere in Fort Pierce to Dependable Homebuyers. We all have preferences for some neighborhoods and certain types of properties. However, our criteria do not lead to outright dismissal of houses for sale. We have purchased homes in various neighborhoods across the city. We have bought all types of houses. 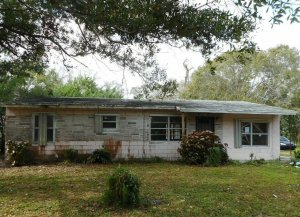 We buy houses in Fort Pierce even if they are not in a salable condition. We are a real estate investment company and property developer. We invest in repairs, renovations and home improvements. So we do not ask owners and sellers to invest in such projects. 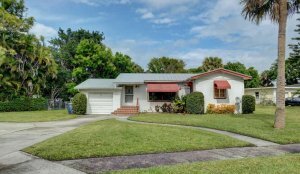 We have an outright cash offer and we buy houses in Fort Pierce if the sellers accept the proposition. All property owners have to spend an enormous amount of money to sell their houses. There are some unavoidable costs, equaling over ten thousand dollars. There are some avoidable costs, which many sellers cannot help but indulge in. There are some discretionary costs that realtors usually succeed at convincing the sellers to pay for. Let us consider the unavoidable costs first. Any real estate transaction will have a closing cost. This is true for residential properties as well. The closing cost is two percent of the actual selling price. You as the owner and seller will have to pay for this. The closing cost is not paid for by the buyer or the realtor. However, Dependable Homebuyers pays for the closing cost so you are effectively saving thousands of dollars straightaway. The second major cost you must bear if you are not selling to us is the commission charged by your hired realtor. The standard commission charged by real estate agents is six percent. This too is payable when you actually get to sell the house. It can be up to ten thousand dollars, depending on the selling price. 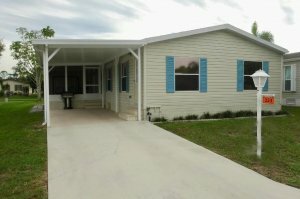 You do not pay this commission to us or to anyone when we buy houses in Fort Pierce. We are not a real estate agency. There is no networking or online listing service. You save the commission and the closing cost by choosing Dependable Homebuyers. There are other unavoidable costs as well, such as cleaning and de-cluttering, property inspection and staging, appraisal and advertising. You cannot help but pay for all these if you want to sell a house. If you have to sell a house quickly, then you must pay more in each of these categories. You must be aggressive with your advertising, as planned or recommended by the realtor. You should spend more money on staging so your property looks absolutely desirable. You will need to spend some money on aesthetic improvements so buyers get enticed during the open house or showing. Appraisal is necessary if a buyer needs a loan from a bank. You may need to pay for multiple appraisals while dealing with different buyers over a period of time. All these expenses pile up in addition to the commission and closing cost. A conservative estimate is over ten thousand dollars of expense for a homeowner to actually sell the house. The cost can easily escalate and be nearly twenty thousand dollars, especially if the property needs extensive repairs and some renovation. Repainting a whole house can cost thousands. None of these expenses are necessary or even relevant when we buy houses in Fort Pierce. We are not like common buyers who are imagining the property as their dream house. We invest fairly in properties and then everything necessary to transform them. This is why we do not have problems with considering hoarder houses, properties with flooded basements and residences that are in serious disrepair. We buy all types of houses, everywhere and in any condition conceivable. Eliminating all the usual costs naturally maximizes the return. You will get a fair purchase offer from Dependable Homebuyers. Saving nearly twenty thousand dollars or definitely over ten thousand will have an immediate effect on the net profit. You do not have to deal with any ambiguity or unpredictability. You know who the buyer is. You agree to a scheduled viewing. The inspection is thorough and the assessment is pragmatic. We will have a free and nonobligatory purchase offer for you to consider. There is no haste and no compulsion whatsoever. If you choose to sell your house to us, then we can complete the process in seven days. 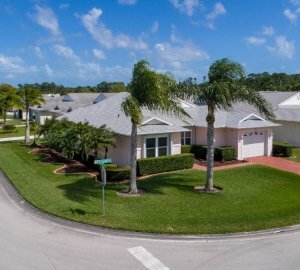 There is no easier, simpler or surer option to sell any type of residential property to anyone in Fort Pierce, Florida. One call and the whole process can be initiated. You do not have to take responsibility for anything but for the act of considering our proposition and subsequently signing the sale agreement if you wish to proceed.